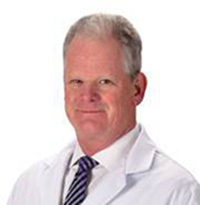 Dr. Lawton is a Fellowship-trained, Board Certified Orthopedic Surgeon who has been practicing in Durango, CO since 2002. He grew up in Fullerton, California, and attended Colorado College, where he played both baseball and football, earning team captain and offensive most valuable player honors. He returned to the Rocky Mountains to live and work. He attended medical school at reputable Emory University School of Medicine in Atlanta, and worked at the Centers for Disease control while attending medical school. He received academic scholarships and was class president 3 years running. His residency was at the Mayo Clinic in Rochester, Minnesota, consistently ranked among the top orthopaedic surgery training programs in the world. He continues to benefit from the relationships formed during residency, returning yearly as a faculty member for the Mayo Elbow course and Mayo Shoulder Course in which other surgeons from around the world come together for learning. He then completed a fellowship at the Steadman-Hawkins Clinic in Vail, Colorado, where he served as an assistant team doctor for the Denver Broncos, Colorado Rockies, and U.S. Ski Team. After fellowship, he went to Durango, CO to practice. He has seen, evaluated, and treated thousands of non-operative and surgical care patients. Along with other providers in the Durango community, Dr. Lawton created the Rocky Mountain Sports Medicine Foundation which ultimately led to the hiring of and support for certified athletic trainers in area high schools. He provided sideline coverage for hundreds of Durango area high schools and colleges. While in Colorado, Dr. Lawton also created the Orthopedic Service Line for joint replacement at Mercy Regional Medical Center along with other practice and institutional partners. He is married and has three children. He stays active, participating in hobbies with his family and friends including rafting, cycling, hockey, motorcycling, boating, hiking, and hunting among others.